En route to Paris the countryside zips past at 200 mph. 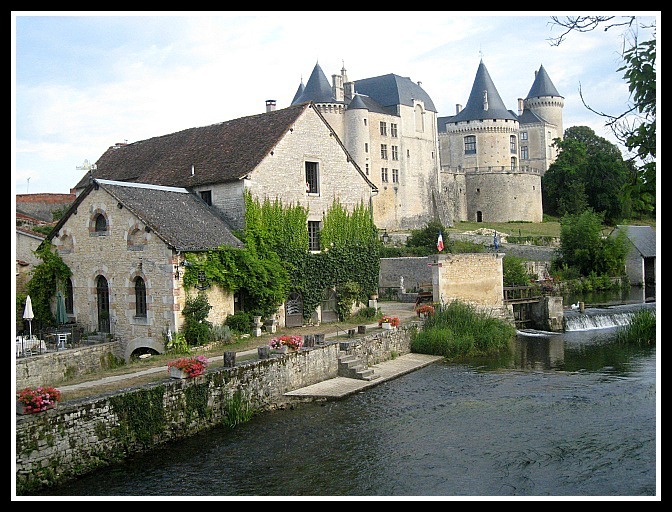 It is a summer trip to my brother’s farmhouse in the French heartland that has us gliding north from Provence on a lightning fast bullet train. Through fields of lavender and sun flowers, over broad rivers and lazy canals, past charming villages and large farms, cows and hay bales and hillsides of grape vines in their trellised rows. It is no surprise that Impressionism originated in France, for the countryside is in a word captivating; perfect for Monet’s dreamy lilie ponds or Pissarro’s rich landscapes of rural life. A holiday trip is perfect for detachment from the routine, from work and other daily distractions. And I am on Unplugged Day #5, liberated and leaning towards permanent uncoupling from the mobile realm. Family holidays are sacrosanct, they are the really good stuff that lingers in our minds long after the summer heat has faded and the flip flops are boxed away. No distractions beyond a great summer book. Definitely no mobile phone. Does the phone-only wireless phone still exist? The newer models are truly computers for your pocket. With my antiquated Samsung (going on 2 years now and oh so “yesterday”) I can browse the web, check my email, take photos and videos, look at maps and get my coordinates, order train tickets, listen to the radio, correct my bad French translations, get a beep and description each time I pass by a historic monument in Aix-en-Provence, and those are just the few things I actually use. The new iPhone 4S has over 500,000 apps that Apple offers for your amusement (and holiday intrusion). What can be wrong with so much great innovation? Where is the downside of this communal dive into the world of super smart and oh-so-cool mobile devices? For those of you whose principle source of joy is solitary digital absorption, there are no worries. Life is getting more beautiful with each new generation of phones and waves of apps. For those of us seeking deeper fulfillment and engagement with family, friends, and the occasional fascinating stranger there is cause for concern. Distraction: With so many cool gizmos at our bored little fingertips, why engage with the rest of the world? Engagement requires eye contact and active listening, an exhaustive venture outside our bubble of 1. Navigating a city sidewalk these days requires constant vigilance, with so many pedestrians walking on auto pilot while squinting at emails or typing an SMS. How many times have you watched a couple noncommunicating over coffees or dinner, him or her or both with phones securely planted in hand and tapping away? Did you say something dear? Or we see dad responding self-importantly to that urgent Saturday text (btw, whole milk or 2%? lv u 🙂) while his son Jimmy kicks the winning goal at his weekend soccer match. Many thanks to Apple/Google/AT&T and their industry cabal for making this lost family moment possible.Ah, but a bit of self-discipline is all that one needs, right? Right, but the truth is I am weak, most of us are weak. Each new app adds a voice to the chorus of calls singing, Get me out, play with me! Do you disagree? Expense:“Hey, my cell phone is cheap and my apps are free,” you say. Ah, but two cans do not a phone connection make. You gotta have the string (in this case microwaves)! Let’s do a little math. Per the AT&T website, the cheapest iPhone 4S (16 Gb) runs $200 (I’m rounding up by 1 penny for easier cypherin’); amortizing over 24 months (2 year service plan) gets us to $8/month (the 64 Gb iPhone we really want is twice that price, but let’s be thrifty with the numbers). Now, add another $60/month for the calling plan (nationwide unlimited) plus $30 for the data plan (the minimum plan they recommended for video and audio apps). All in we are sending AT&T $98 per month for the pleasure of unlimited distraction (see bullet #1). Is it worth it? What is the opportunity cost of $98/month? That depends entirely on your priorities. For parents like me, one could consider applying the savings to more rewarding moments with the kids (than twiddling away on your 4S while Jimmy celebrates with his teammates). As an example, $98/month would pay for a family membership ($10/month) to both of San Francisco’s finest museums– the de Young and Legion of Honor – that have numerous events and exhibitions for kids, PLUS a monthly movie outing to the West Portal Theater ($26 for 4 with the early bird special), PLUS treats for all after the show at Shaw’s ice cream parlor across the street (another $16), PLUS a Sony SLR camera to capture these family moments (the SLT-A37 lists for $598 [$50/month if amortized over 1 year, which is wildly conservative]). Despite all pronouncements by Apple acolytes to the contrary, the 4S’s camera features and flexibility, while impressive for a phone, do not come close to a decent mid-priced SLR. 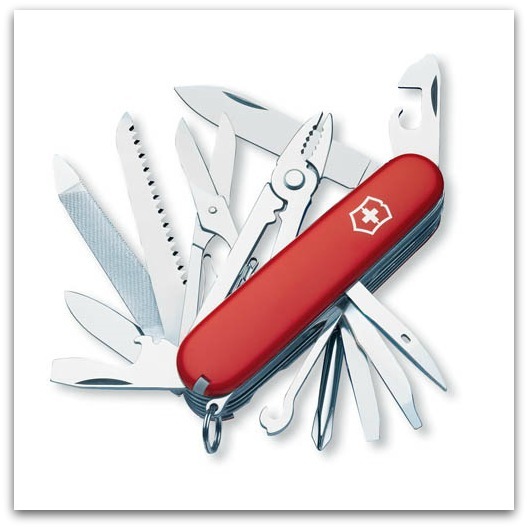 Compromise:I appreciate that smart phone devices are truly impressive in terms of big utility in a small package in the way I appreciate that the Swiss make one hell of an army knife. For backpacking into the wilds it’s great. But I rarely (never actually) backpack into the wilds, and when I need scissors, tweezers, pliers, a fingernail file, corkscrew, screwdriver, saw blade, can opener, or knife for that matter I reach for one of the single function gadgets in my drawer at home. Similarly, I don’t want to watch videos on a 3.5 inch screen or capture my precious family moments with cell phone-grade optics. Convenience factor: HIGH; quality factor: LOW. Apple isn’t losing sleep over my concerns. It knows well and accepts that I am old school and just don’t get it. Its target customers are my kids, the younger generation. Are they happy to watch videos on a 3.5 inch screen: YES; do they believe that the iPhone camera quality is as good as any decent SLR: YES; do they consider song quality off a microchip perfectly fine: YES (because they grew up with tinny iPods); do they agree with Apple that Dad just doesn’t get it: YES. And this leads me to the final bullet. Control: Everyone I know wants an iPhone, iMac, or iPad including me. We KNOW they are the most aesthetically beautiful, functionally elegant, pure extensions of our own uncorrupted souls and that Steve Jobs was a profound genius, now in some distant mystic dimension and debating with his creative equals, the likes of Da Vinci and Disney. I need more Apple in my life according to my 12 year-old daughter, specifically an iPhone (and she’d like one as well while I am at it). Why? Well, the backing argument isn’t yet firmed up, but just believer her on this. If I go to the Apple store then I will see. If I buy one then I will understand. Everyone has become an Apple disciple it seems, and it pushes me to resist even more my own digital desires. I would like to have an iPad, but one thing that really gets my antennas twisting is blind allegiance. Can we agree that Apple and their wireless device brethren makes some pretty cool stuff that can be useful for work and fun for play? Can we also agree that who we are, what we stand for, and where we derive happiness and fulfillment should not be defined by the brands we consume? It is unfair to single out Apple on this peeve, but it is the poster child of the moment. What, you’re not an Apple guy? Are you not experienced? “We have created, for the first time in all history, a garden of pure ideology, where each worker may bloom secure from the pests of contradictory and confusing truths.” This seems ironic now, Apple’s 1984 MacIntosh commercial (click here to watch) exhorting the masses to break their chains and question group think. “Il faut profiter de la vie” was how my table neighbor phrased it, and I understood well his meaning: “We must enjoy moments like this, cannot take them for granted.” We were sitting with my kids and a dozen or so friends and family at a long wooden table in the French countryside. The sun was warm but there was a helpful breeze and the shade tree overhead was broad. It was a late Saturday lunch of salmon tartare, diced beets in garlic and cumin, soft boiled egg whites with homemade mayonnaise, a garden tomato and cucumber salad in vinaigrette, tuna rillettes (or was that crab?) spread on thin baguette slices, a delicious selection of goat, sheep and cow cheeses, and frozen sorbets as the cool finale on a gorgeous August day. Of course there was plenty of champagne to serve it all up and wines to wash it all down, followed by small tumblers of local cognac to aid the digestion (just before hammock time). No smart phones sat on the table, no one was tapping on a keypad, everyone was enjoying the moment and any disruption would have seemed irreverent and cheap. It is the kind of moment that lingers for weeks in our memories. It is an afternoon that deserves our full investment. It is what truly matters, right? Postscript: The centennial celebration of Woody Guthrie’s birth was held on July 14 with the release of a box set of his many, many (and then some) songs, mostly released from the archives of the Smithsonian Museum. It’s a scratchy set of original recordings from numerous radio shows, live performances, album releases, and other venues, and an interview with the Smithsonian archivist Jeff Place and Guthrie historian Ed Cray can be heard on the July 12 edition of Fresh Air (click here to listen). Guthrie is one of my favorite American songwriters and then so much more. He is a true American folk hero, both sharply critical of inequity and deeply passionate about the country’s unlimited bounty and promise. Enjoy.